Catch the attention of early elementary readers with 85 stories from the Old and New Testaments! One side of the perforated page contains a picture to color while the other side includes the corresponding Bible story. However, each picture to color has something missing! 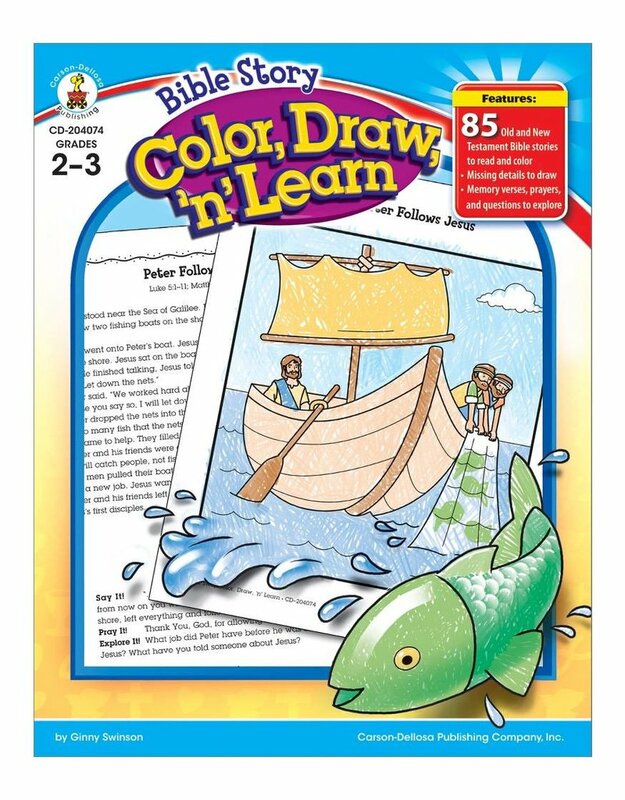 Kids will have to read the story first to determine what they need to draw to complete and color the picture. Each story also includes a suggested memory verse, a simple prayer, and two thought-provoking questions.